Did you run out of room for your quests over this past 4th of July weekend? Were there enough room on your tables for people to eat or did people have to use their laps? If need of some temporary hide away furniture for the holidays? 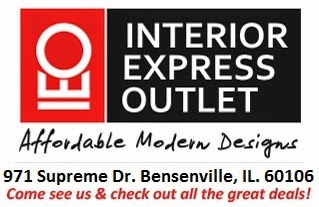 Interior Express Outlet has what you need. It is hard to find good looking modern furniture that is easy to hide away when you need more space. There is nothing you can do to that typical folding table and chairs to dress it up. Interior Express Outlet has a few great options for your next party or BBQ. Clear, modern and foldable these acrylic chairs will look good when being used but will also save your room when you don't need them out. Priced at $49.00.